Cacho’s Surf School is a laid-back premiere surf school in Nosara, Costa Rica specializing in providing custom surf lessons according to your level, beginner or advanced, by local certified instructors. We also offer the best Costa Rica surf trips to off the beaten path surfers paradise breaks located all along the famous Guanacaste Pacific coast. While many other local surfing schools only operate during the high season, Cacho’s Surf School is one of the few surfing schools that run year-around. Families and kids are welcome. 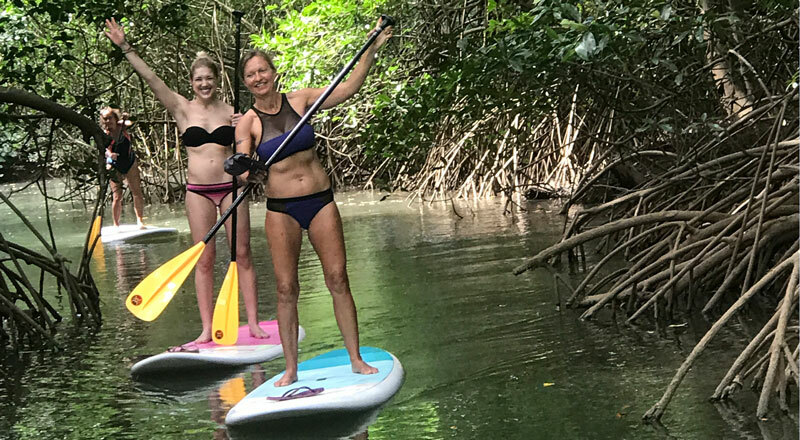 One of the longest-running surf schools in Nosara – Cacho’s Surf School also provides the ultimate Costa Rica kayak and stand up paddle (SUP) tour experiences. 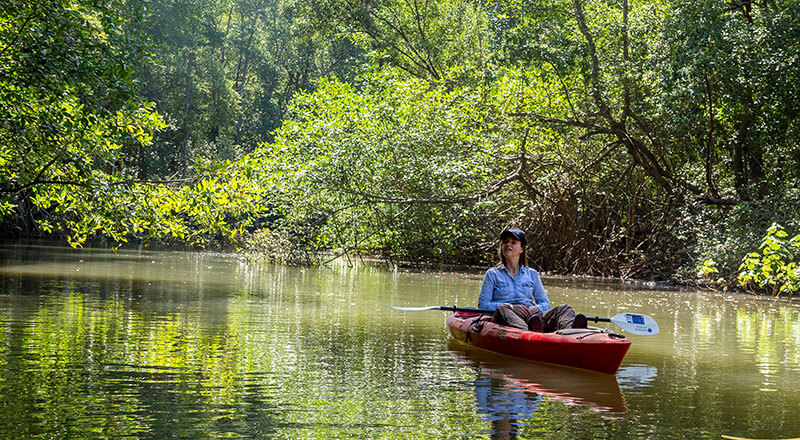 Our top of the line kayaks are outfitted for ideal bird watching or kayak fishing in Costa Rica – or just immerse yourself into nature in a pristine mangrove kayaking tour or ocean kayaking and snorkel offshore from a rare pink sand beach. Following the tradition of guest satisfaction and creating memorable experiences, Cacho is also the most knowledgeable guided tour company in Nosara for private groups, individuals and families. Explore the river estuary of Nosara ,one of the gems of Guanacaste, on a immersive tour on a kayak or SUP stand up paddle. Wildlife sightseeing, pink sand beach, mangroves and birds are only part of the tours which include a visit to a remote beach. We partner with the best local Nosara tour operators to help you complement your Costa Rica vacation with the most popular activities: ATV Tours, Zip line Canopy Tours, jungle and sunset horseback riding, waterfall tours and more, just ask us. 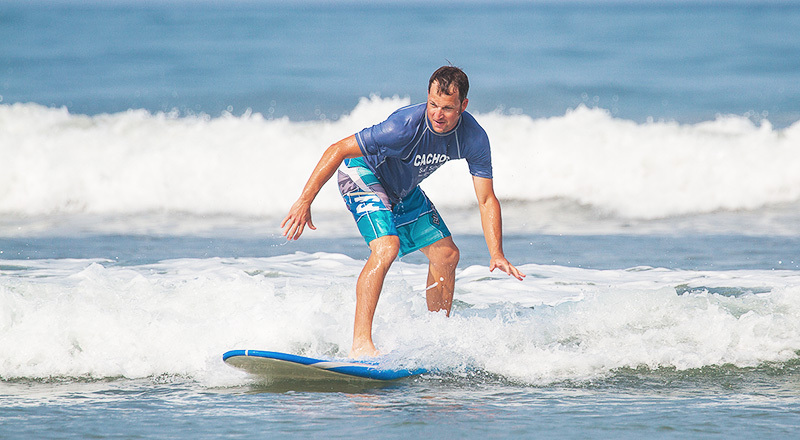 Experience the Costa Rican culture with Cacho’s Surfing School. Pura vida!